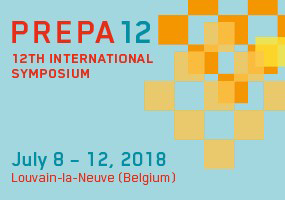 The 12th International Symposium on the "Scientific Bases for the Preparation of Heterogeneous Catalysts" will be held in Louvain-la-Neuve, from 8 till 12 July 2018. We cordially invite all scientists active in the field of heterogeneous catalysis to participate in the 12th International Symposium on Scientific Bases for the Preparation of Heterogeneous Catalysts. The scientific programme will consist of invited lectures, oral and poster presentations. Contributions are solicited that focus on the aspects of catalyst preparation. Reports on physico-chemical characteristics of catalysts and catalytic performances should be limited to correlations with the preparation parameters.